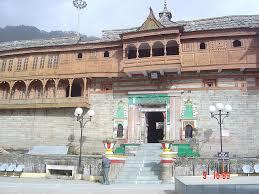 Here is Some Information about Bhimkali Temple in Shimla Himachal Pradesh india. 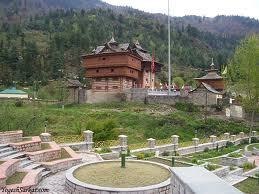 The famous Bhimakali Temple in Shimla is a very popular tourist attraction. 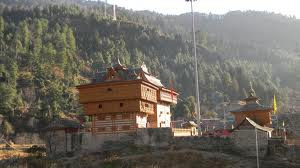 Also known as Bheemakali Temple of Simla, this architectural wonder is one of the representatives of 51 Shakti Peeths. The unique thing about this temple is that the style of architecture used to build it is a unique amalgamation of both Hinduism and Buddhism. It is built of wood and is no less than an architectural masterpiece. Located near the temple are the palaces of the royal families of Shimla. The Bhimakali temple with its six Silver coated doors is a mixture of both Hindu and Buddhist style of architecture attracts pilgrims and tourists from all over the world. The temple of Bhimakali is situated at Sarahan. 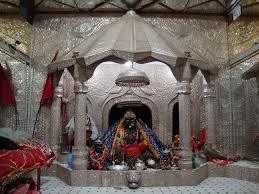 This temple is dedicated to Goddess Bhimakali but there are numerous other deities installed in the complex. This 800 year old temple is an architectural wonder. It is a perfect blend of Hindu and Buddhist styles of architecture, with beautifully crafted doors and slanting wooden roofs. The temple complex includes three other structures - temples dedicated to Lord Raghunathji, Narsinghji and Patal Bhairvaji. The idol of the main deity, goddess Bhimakali, is housed on the second floor of the main temple. The surrounding region is also stunningly beautiful. Various species of flora and fauna attract visitors from far and near. One comes to know of the origin of the temple also through the legends in the "Markandya Purana" and "Durga Shaptshati". Legends say Goddess Durga had promised the 'Devtas' that she would save them from the atrocities of 'Asuras' by re-incarnation. True to her word she decimated the 'Asuras' and became famous by the name of Bhima Devi. 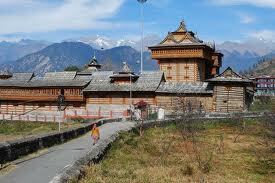 The five-storey Bhimakali temple is situated on a hillock amongst beautiful scenery of gigantic deodar trees. 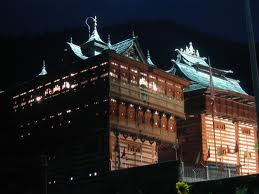 The exquisitely carved wooden sloped roofs are slanting and slightly and concave. These roofs are reminiscent of the Chinese architecture. There are two temples of Bhimakali. The original temple got tilted hence the second has been constructed in the same architectural style. The statuettes of 'Devis' were installed in the temple in 1962. The one meter Ashtdhatu (alloys of 8 metals) Deity of Goddess surrounded by 'Parikrama Path' on the four sides. Besides this deity are statuettes of numerous deities like 'Chamunda', 'Annpurna', 'Brajeshwari', 'Shiv-Parvati', 'Ganesh', and 'Buddha'. The Devi is decorated with silver plates. The Bimakali temple attracts a stream of visitors during Navratras. Other major fairs celebrated with gaity and fervour are Janamashtami, Ramnavmi, Makar Sakranti, Shivratri and Diwali. Three day Dussehra fair dedicated to Raghunathji is enthusiastically celebrated with a Rath Yatra. By Road : It is 180 kms. from Shimla and 550 Kms from Delhi. 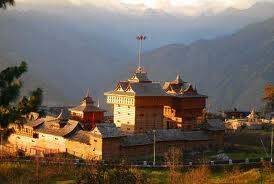 Tourists can hire jeeps and taxies which are available at Shimla and Rampur. A number of buses are also available to reach this place. 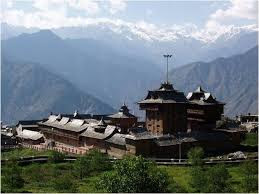 By car Sarahan is six hours from Shimla.The route is on NH -22 upto Jeori, which is 11 kms beyond from Jhakri, from where the road bifurcates to Sarahan. By Air: The Nearest Airport is Simla.